Imagine driving through the scenic hills of the Cotter Wilderness to go to your favorite track for your own private ride day. You get there and a storm has just passed through. The track is a little muddy in spots but it's ok, the main lines are all worn in an ready to be ripped on. Making one lap around the perfect track just isn't enough though; the beauty that surrounds you is surreal. From the pine trees, to the mountain scape in the background, Windcott is the ultimate destination for a motocross getaway. Displacement map, track textures and environment created by DJ. Track objects and their skins created by LuizH. Credits to Wakestyle21 for his stakes, and JLV for general help. I'm going to a trip and I have 5 minutes to send my track and I didn't have time to finish the objects on my track but it's pretty done. It's a big national track in middle of a nice forest , I've done my best on this track and I hope you guys like it. You should ride with your suspension lower than 50 to get no troubles on the bumps. Thanks for everyone who helped on this track also JLV for the contest. Have fun. 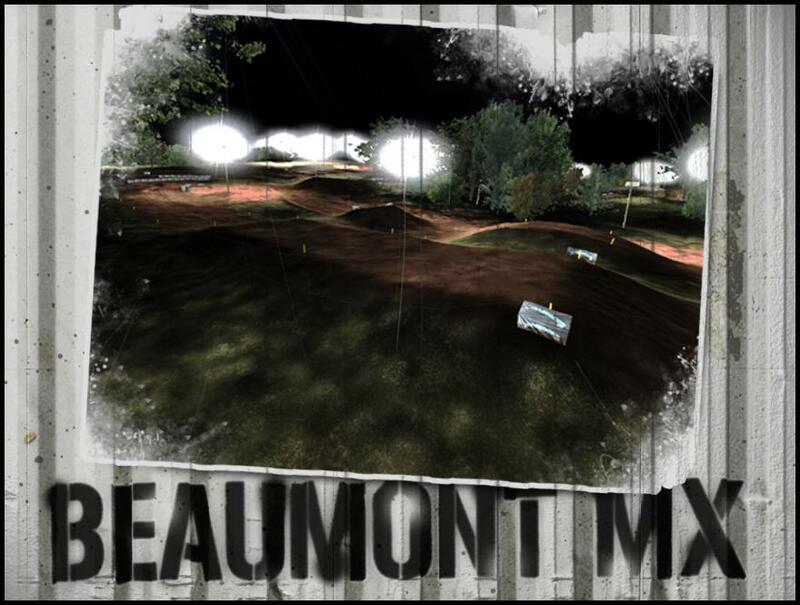 Beaumont MX is a nighttime motocross track featuring high speed and low speed sections, small jumps and big jumps. 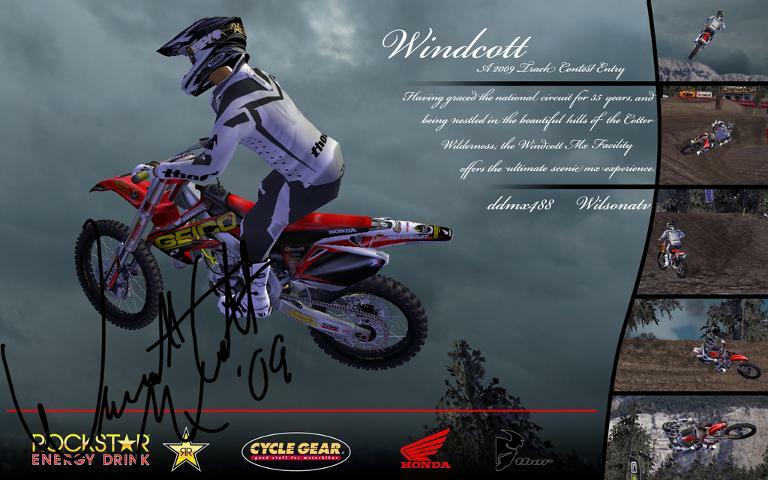 This track was inspireed after attending Unadilla for the pro nationals this year. The elevation changes provided an awesome base to carve an mx track into. My main goal was to base everything off of a realistic scale. I hope that you all enjoy it. Thanks for FactoryBR21 to be patient and spend hours teaching me and showing me his skills. 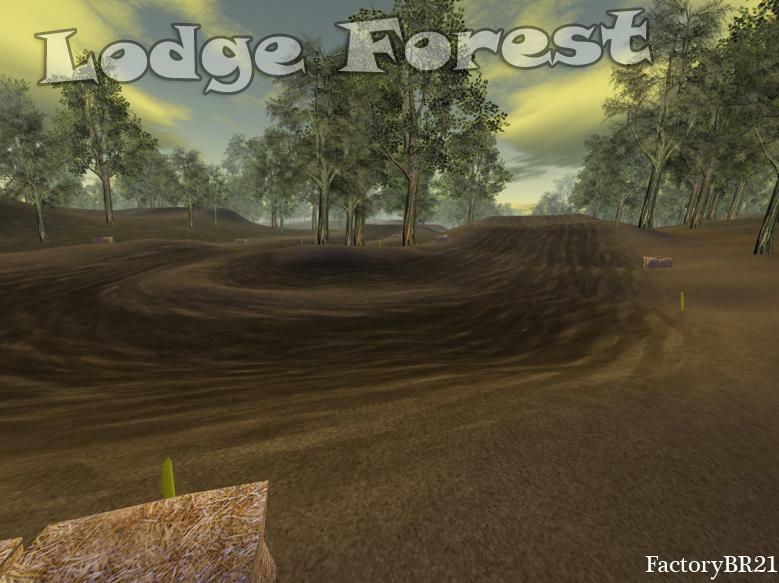 Cedarshire Hills MX Park (folder name is cedar hill), is a technical, fast, jumpy, and fun track. 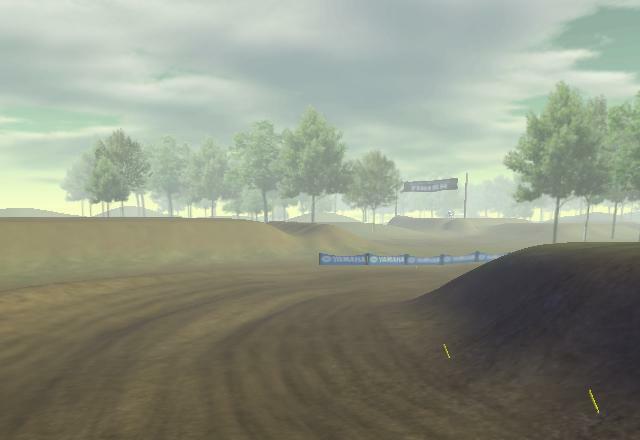 I tried to keep this simple - a natural terrain motocross track that would work good for online racing. Enjoy! Special thanks to DJ, DDMX, and WilsonATV for lots of help, answering stupid questions, and actual content. 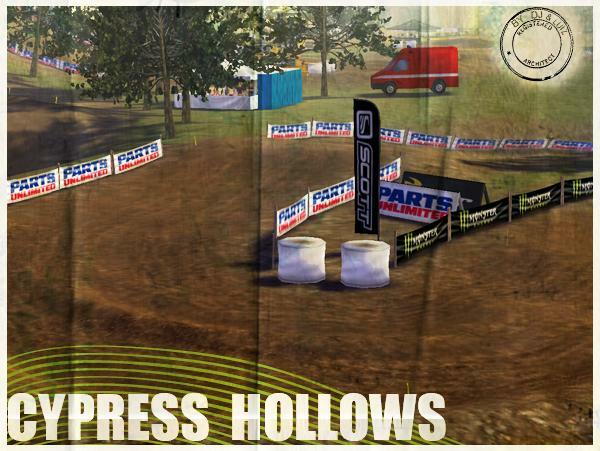 This track has a lot of elevation change but it makes for some awesome lines and fun jumps! I really tried to give the riders options on this track to keep a good replay value. I had a lot of help with beta testers and a special thanks to Wheels for making objects. I think this is a fun track and i hope everyone else feels the same way. This track was created by myself (dearnhardtfan7) and lluks252. The track is Archview MX park. I definitely have to thank Erick for all of the help in making this track the best and most accurate replica it could be. Countless hours went into this track and it has definitely been the most fun of any of the tracks I have previously released. Thanks to JLV for creating such an awesome game, and for all of the continuous improvements that he is spending so much time developing. 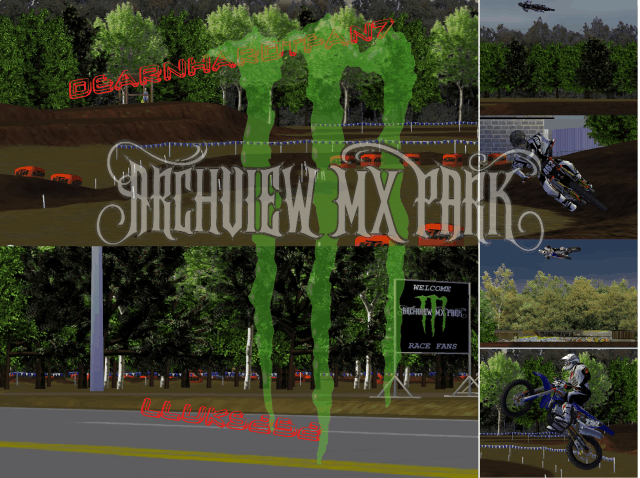 Thanks to the entire MX Sim community for all of the hard work and feedback that is constantly being forthput. I look forward to being a part of the progression of this game in the time to come. 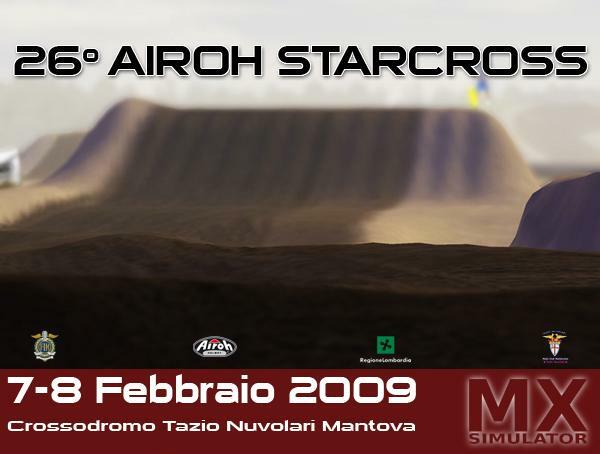 The two day, action-packed Starcross event presents a novel competition format like a tennis tournament where a field of riders battle it out in an one-on-one knockout over one lap each until just two riders remain. Eighty three riders are entered. Top riders automatically qualify for the final and are joined on the 1650m sandy track by other qualifiers. Mantova is a must for the enthusiastic Italian motocross fans and riders will be spurred on by a very enthusiastic crowd of supporters. Organizers report that more than 100 journalists from all over the world will cover the event.